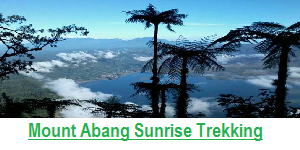 Bali Sunrise Trek and Nature Hot Spring Tour, We just combine Sunrise Trekking To Mount Batur Volcano and Nature Hot Spring Tour since we have a lot request for our previous client , they would like to visit Hot spring after the trek where you can relax to soak so that your muscles become loose after climbing Mount Batur. 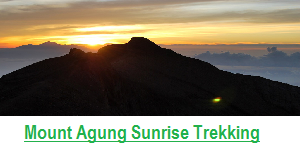 We have the activity “mount Batur sunrise trek and hot spring tour” booked. Our guide Putu Mariasa was very knowledgeable and friendly, he spoke very good English. The walk was very well organized, but the strain cannot be underestimated. The view of the volcano from is priceless beautiful. 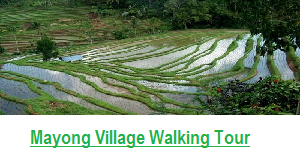 I would recommend anyone jungle trekking of the tour with Bali. Thanks again to Putu..! Nice trip, not too difficult.. Super! 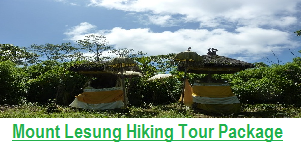 Dewa was our guide, he told many info during the trek. Excellent guide! 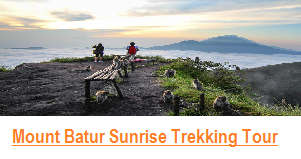 sunrise hike of Mount Batur, an active volcano in Kintamani – Just 1.5 hour from Ubud. 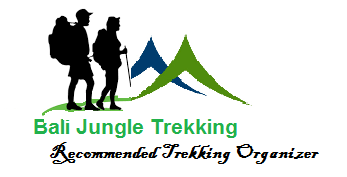 We used Bali Jungle Trekking and booked it just 1 day before. Our driver arrived right on time and we tried to get some sleep on the drive. 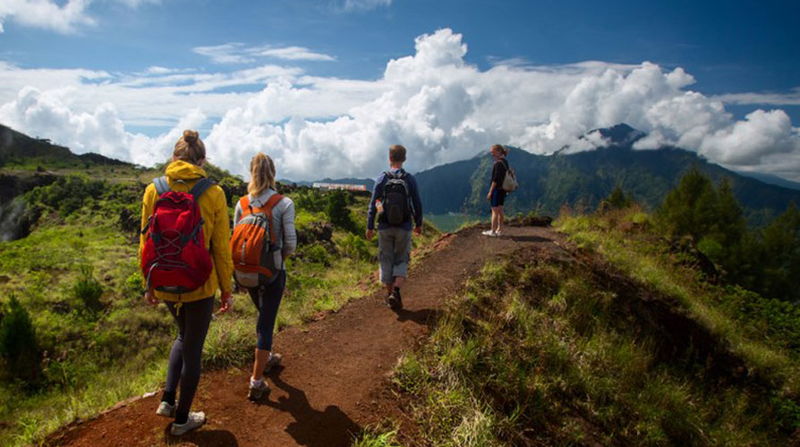 When we got to Mount Batur we were introduce with our private local guide who will lead us to reach the top of mt Batur. You are required to hike with a guide and can not go on your own. Since it was only 4am it was pitch black during the hike and our guide provided flashlights. The first half of the hike was pretty simple, but the second half was very challenging. 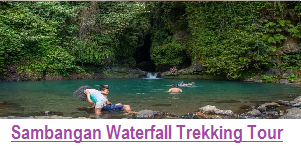 I have seen sites say that anyone could do this hike, but that is not the case. You are hiking very steep and loose volcanic rock. I was winded and had to stop for multiple breaks. After the sunrise we walked around the top of the volcano seeing the thermal features and monkeys who live on the mountain before beginning the slippery hike down. By 8am we were done with our hike and exhausted. Then after then we continue to Nature Hot spring , 7 minutes driver from finishing point, we soak our body and refreshing.